There are a lot of choices when buying welding supplies and industrial gases in the GTA. 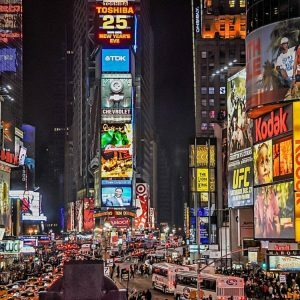 Search the Internet of things and you’ll be inundated with local to international online suppliers, so it may be hard to figure out which is right for your business. It may be convenient to place orders with online suppliers, but you may run into issues if you need advice or have questions about the supplies you plan to buy. Buying welding supplies and industrial gases in the GTA offers many benefits. Local industrial gas suppliers can adjust orders, answer questions and give much-needed advice. 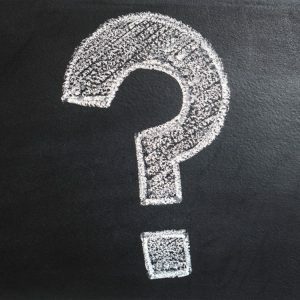 Suppliers in the GTA also offer a knowledgeable staff, not a computer screen or a message board, to solve issues and offer assistance to your business. They’re part of the community, just like your business, so helping you also helps to benefit the community. Here are 4 signs that your supplier of equipment and industrial gases in the GTA is right for your business. Of course, we all have budgets and staying on your budget keeps your business afloat. 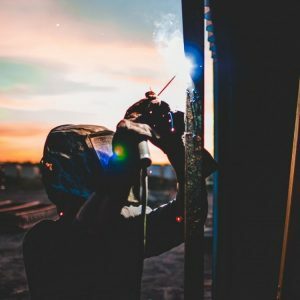 You want a supplier who offers excellent pricing, promotions, bulk rates and is competitive with the current prices of welding supplies and gases. Not only do you want a supplier to be loyal to their clients, but you also want to know that clients have stayed loyal to a supplier as well. That says something about how they value clients. We’ve all been that person on the phone or online trying to get to speak to a human being at any given customer service department. Doing business with an industrial gas and welding supplier shouldn’t be that way. You should have excellent customer service and support from a real, knowledgeable and local staff member. We’ve also been this person: you order inventory online at a great price, but it takes so long to get delivered, that you’re losing money on sales. You can count on local suppliers to ship efficiently and quickly, sometimes even in the same day. 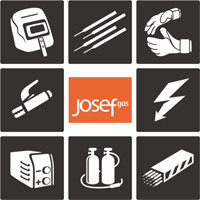 JosefGas is local and offers a wide variety of welding supplies and industrial gases in the GTA and beyond. Our loyal client base says a lot about how we approach client service. Our knowledgeable staff and competitive prices speak volumes about our relationship with our clients. We take pride in being a part of the Greater Toronto Area and in serving our clients. When we treat them right, we’re also serving our community. Contact us for more information on how we can serve your business. Meet argon gas! Argon gas is a colorless, odorless gas that’s a friend to welders, window manufacturers, neon light makers, anthropologists and the list goes on. Argon gas not only has a lot of uses, but it’s the most abundant and least expensive of the noble gasses. That’s not the only thing that makes this industrial gas so versatile. Argon is an inert, colorless, odorless gas, both when it’s in gas and liquid form, which makes it, what’s called a “noble gas.” Because argon is inert, it protects materials from oxygen and other gases in processes that need a non-reactive atmosphere. It’s used as a shielding gas in welding, as an insulator, preserving historical documents, in gas-filled tube lights and so much more. It has so many uses because it doesn’t react with other compounds or elements, even under high heat. Fundamentally, it won’t erode or destroy whatever it’s used for or used to protect. Since it’s a colorless and odorless gas, it can be easily inhaled, so there is a suffocation risk. Caution must be taken when using argon. Fortunately, if your workspace has proper ventilation, the risk is low because argon easily dissipates when adequately ventilated. So it’s important to make sure your ventilation system is working correctly. Also, you should take the same precautions with liquid argon as you would with liquid nitrogen or ‘dry ice.’ Both liquids can cause a kind of burn because they’re icy cold in their liquid state. Josef Gas supplies 100% of the pure argon gas along with other gas blends for all of your specialty gas and welding needs. Whether you’re a welder, a historical anthropologist or you manufacture gas-filled lights; we offer the right quality and quantity of argon for your business. Contact us at 416.658.1212 for more information about the incredible, versatile, colorless and odorless gas called argon. CO2 is one of the most commonly used reactive gases in TIG, MIG and MAG welding. It’s the least expensive of the shielding gases and can be used in its pure form without an inert gas. Argon is another commonly used shielding gas that produces a narrower penetration profile, which offers a clean, small and robust joint weld. The combination of argon and CO2 provides both an inexpensive, accurate and clean weld. Here are some other gases that are effective in argon and CO2 argon mixtures. Helium– Helium is a shielding gas used in MAG, TIG and MIG welding. It’s commonly utilized for copper, aluminum, high-alloy austenitic steels and non-austenitic steels. Hydrogen– Hydrogen is a root shielding gas that can be used as a combustion gas and carrier gas, depending on the application. It is also used in mechanized and automated MAG and TIG welding of high-alloy steel and Cr-Ni-Mo Austenitic stainless steel. Nitrogen– Nitrogen gas, often mixed with hydrogen, is used as a root shielding gas for austenitic stainless steels, high-alloy steels, low alloy steels and non-alloy steels. Oxygen– Oxygen is a shielding gas used in aluminum, mild carbon, low alloy and stainless steel MAG and TIG welding. It is a reactive gas that is used in concentrations of nine percent or less. This improves the penetration, arc stability and weld pool fluidity.